So you’ve always wanted to go on a dig – Circle CRM Group Inc. The best place to go on a dig, where you don’t need experience and you get to uncover amazing things, is with SVG Digs on the beautiful Caribbean island of St. Vincent. Ha, that is a totally biased opinion. Though SVG Digs is pretty amazing, if we run a third season, it may not be until March 2013 (stay tuned). If you want to stay close to home and there aren’t any listings below in your local area, try your local archaeological society; they might run volunteer excavations during the summer. Otherwise, there are a quite few options for volunteering on an archaeological excavation, depending on your interests, location and budget. The things you will uncover will vary, depending on where you go, how old the site is and how great the site is; plus, you will want to consider location with regard to free-time activities. 1. 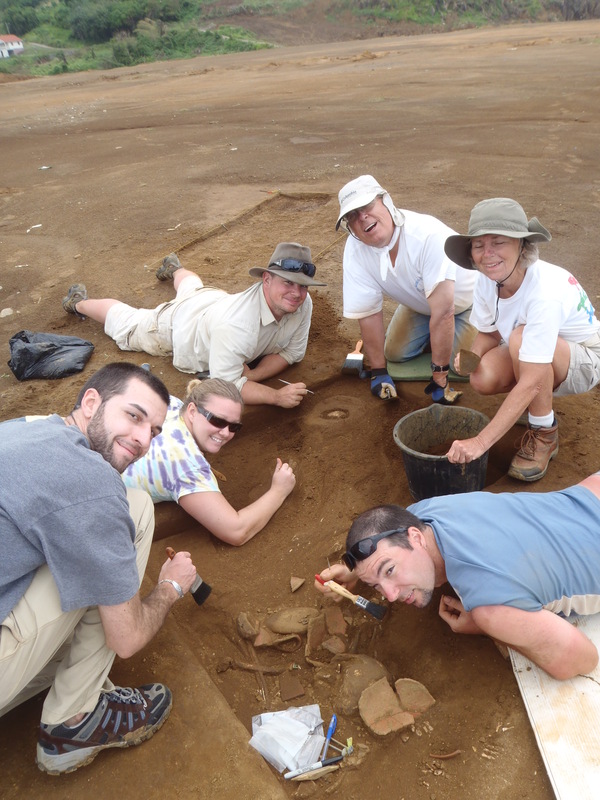 Archaeological Fieldwork Opportunities Bulletin – The Archaeological Institute of America has postings of volunteer opportunities around the world, ranging in price, location and site type. Browse this amazing bulletin and see what takes your fancy. 2. Past Horizons Field Projects – Similarly, UK based Past Horizons posts fieldwork opportunities for volunteers and budding archaeologists. Posts are also international; some likely double up from the AFOB. This site is also great for other info, i.e., recent archaeology news, a tool store, etc. They also have a great article on what to know before you go (Dig Survivors Guide). 3. DigVentures – If you can make it to England, DigVentures has great rates on participating on a dig at the amazing Bronze Age site of Flag Fen. They are currently crowdsourcing to raise funds for this project, so check it out; be a gold digger like me! I hope this helps people fill some dreams. If all else fails, Google can be your best friend. Write me back and let me know! Shovelbums.org often posts links to fieldwork, volunteer and fieldschool opportunities. This may also be a helpful resource for those that are interested. If you did in SVG please send me advance notice so I can put it in the blog and take some pictures of the digging. We are getting too old to dig but I can create some interest.